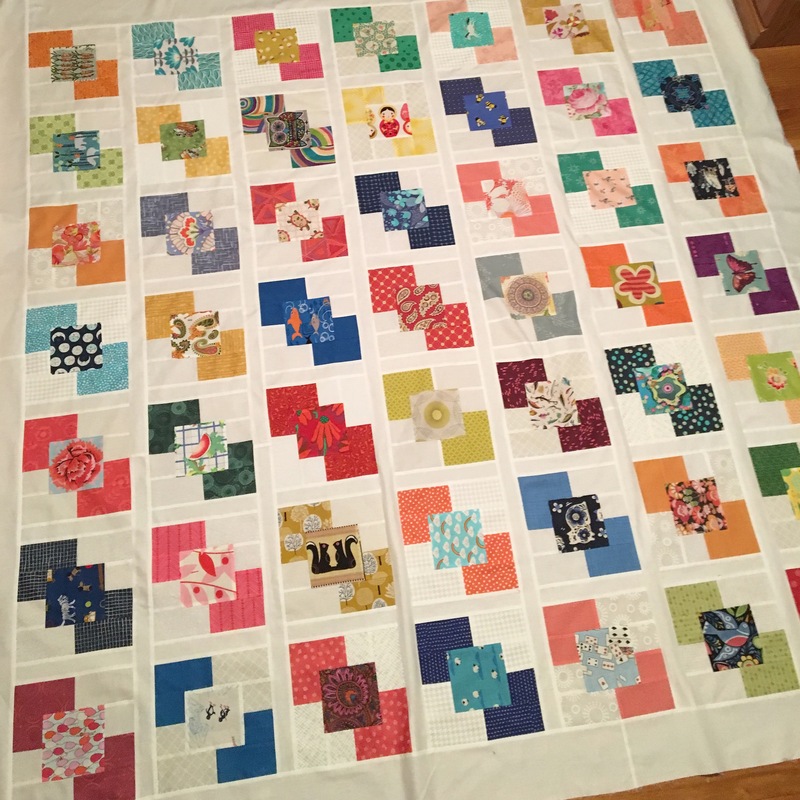 I recently joined the Hope Circle of Do Good Stitches which is a group of 10 people working together to make quilts to be given for charity and comfort. 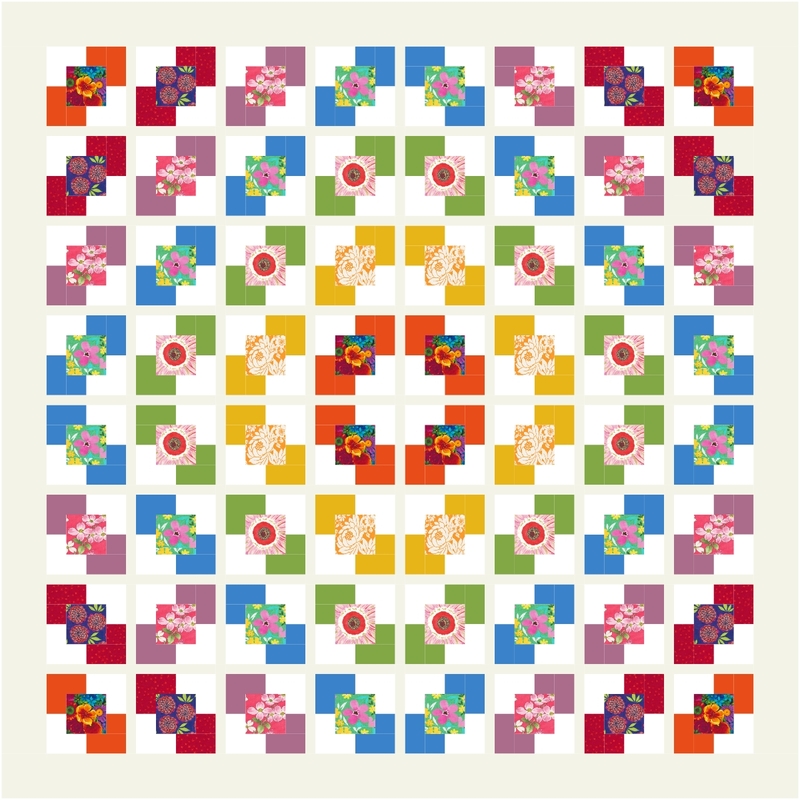 I joined just in time to be asked to design a quilt for the month of October. I came up with the idea to have everyone make Squares within Squares blocks. 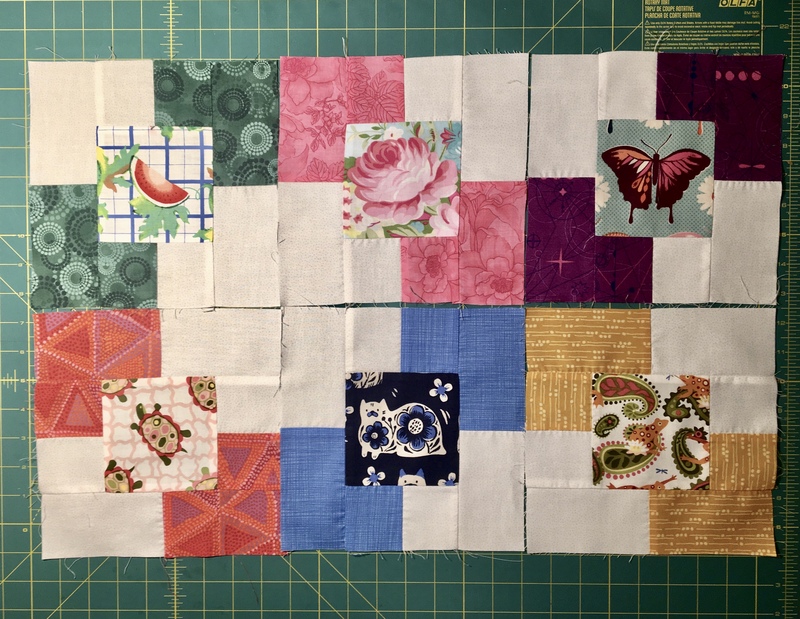 These blocks all have a center square which is perfect for fussy cutting novelty and floral fabrics. Here are instructions for making the block. 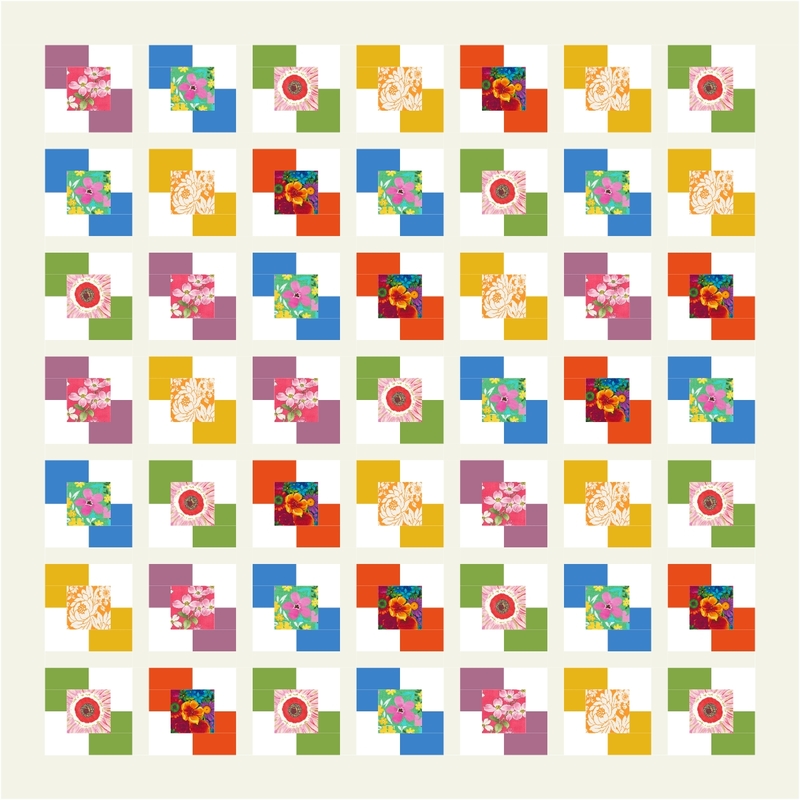 floral fabric for the center of each block. together on the long edge. Press towards the colored fabric. Cut 2 pieces from this that are 8 1/2” x 2 1/2”. white fabric and one from the same colored fabric as above. This is what I went with. The sashing is 1 1/2″ and the borders are 4″. 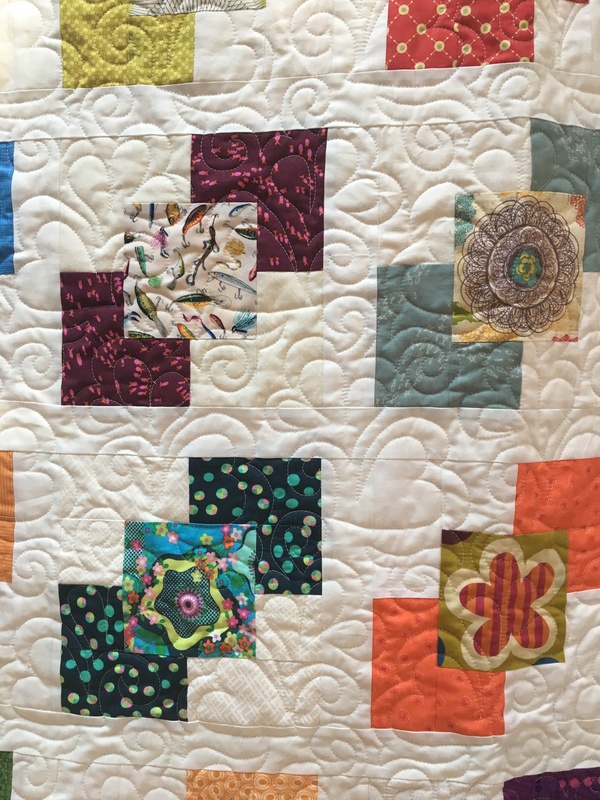 The quilt finishes to 73″ x 73″. 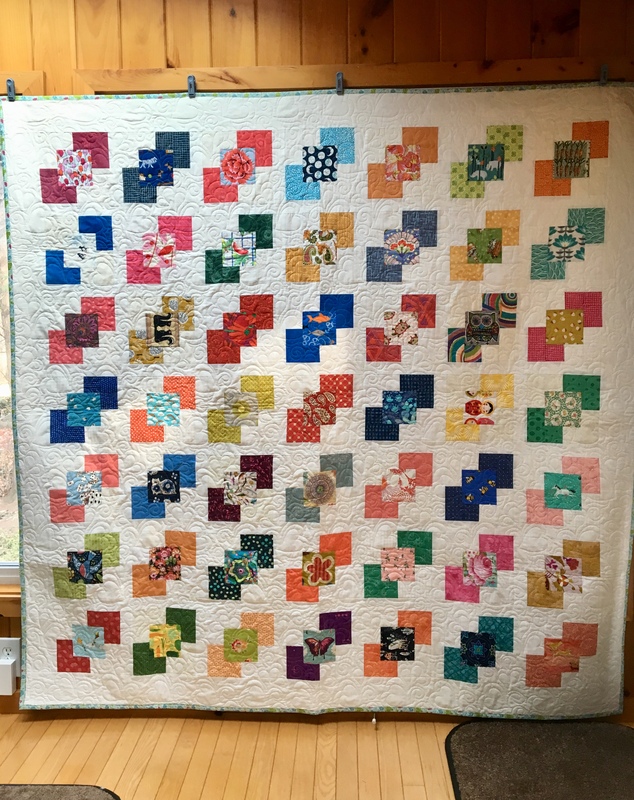 I will update this post to include a photo of the finished quilt. AND … here is the update. This quilt was donated to the MassGeneral Hospital for Children. 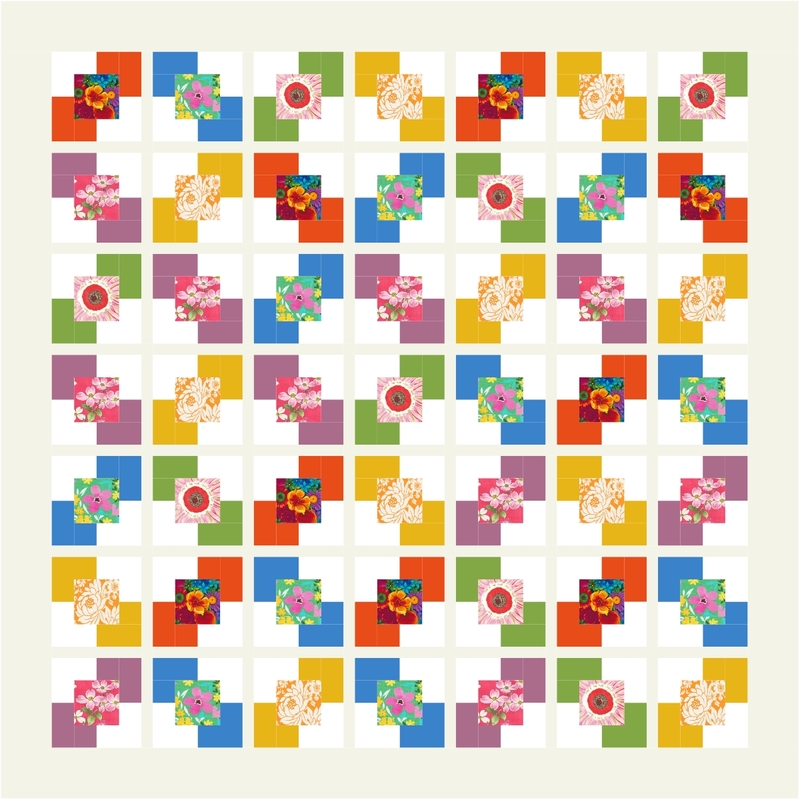 This entry was posted in Patterns, Quilts and tagged comfort quilts, do good stitches, modern quilts on November 11, 2018 by pmegio.